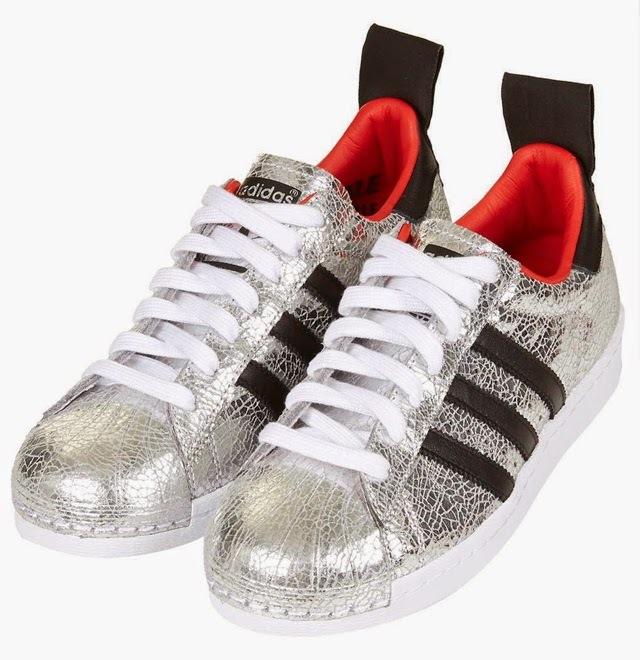 Stop everything, the Adidas superstar ’80s trainers are back, and they’re metallic silver and I want them. Adidas have teamed up with Topshop to celebrate the iconic brand’s archive, with monochrome colours and moody 80s poses. I have to be honest, most of the collection, including a track jacket and running shorts, is not something I’d be likely to pick up as I’ve well and truly left those dressing days behind me. However, these metallic trainers are something else. The classic blue stripes, the red lining and the shiney-cracked silver outing. Man, I’ve fallen hard. Get your Premium Superstar ’80s Trainers by Topshop for Adidas Originals, for £110.